Dentistry is both a science and an art, and Dr. Yurovsky takes pride in creating and sculpting a beautiful smile that combines her high aesthetic standards with the most up to date dental technology. She truly believes that top-notch care, delivered in a warm environment is what makes the difference between good and great. Practicing right here in Philadelphia, Dr. Yurovsky has earned the trust of thousands of men, women, and families across the tri-state area. Many of her patients are longtime friends and supporters who recommend—and know that they can always count on--- the quality dentistry and utmost personalized care here at Dr. Yurovsky’s Dental Office. 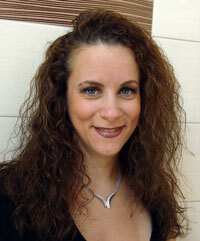 Dr. Renee Yurovsky graduated from Temple University with a degree in Biology. She then went on to complete her Doctor of Dental Surgery Degree at the New York University College of Dentistry. While in school, she was a member of the American Student Dental Association, as well as the Alpha Omega Fraternity, a renowned international dental organization. A native of Philadelphia, Dr. Yurovsky is committed to fulfilling her patients' dental needs. Her greatest pleasure is helping patients achieve and achieve maintain their oral health goals through her dental services. She is also committed to staying up to date with the latest techniques and technologies through continually taking regular education classes. Skill and compassion lie hand in hand when it comes to providing exceptional dentistry. As a healthcare professional practicing in Philadelphia, Dr. Yurovsky stays up to date on the latest advancements in treatments in order to provide the most current dental procedure options for her patients. She is passionate about offering comprehensive oral care with a quality personal touch. Dr. Yurovsky takes great pride in improving the appearance of patient’s smiles by way of general and cosmetic dentistry treatments. As a premier dentist in Philadelphia, Dr. Yurovsky’s mission is making sure you feel comfortable coming into her office, and confident in your vibrant smile leaving. 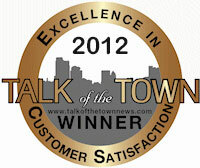 Several national organizations have recognized her commitment to excellence in dental care. 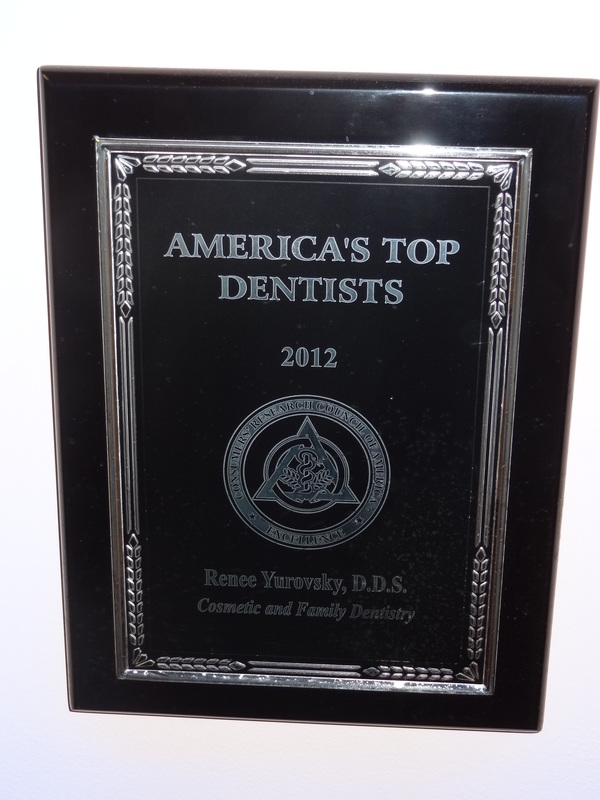 Consumers Research Council of America rated Dr. Yurovsky as one of America’s Top Dentists twice, for 2011 and 2012. 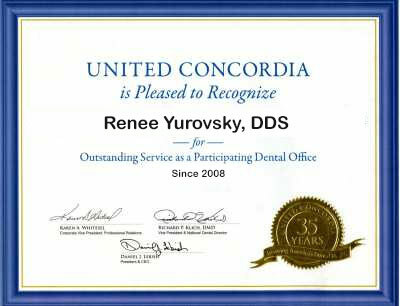 She has also been presented with the CMUS Talk of the Town Award for Excellence in Consumer Satisfaction, while United Concordia has named her practice "Outstanding as a Participating Dental Office" since 2008. Dr. Yurovsky is fluent in both English and Russian. When she is not working, she enjoys spending time with her family.